Want to remove your unwanted hair quickly as well as permanently? PEACH CLINICS offers clinically supervised intensive sessions of electrolysis hair removal to help you achieve your goal of being hair-free super-fast! for an appointment or click below to access our online booking system. We can also talk to you in general terms about the cost of electrolysis hair removal. See which therapists are available, see when they are available, and make your booking from anywhere, at anytime. 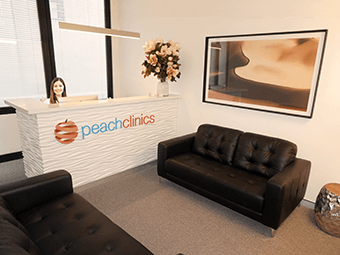 Click below to access our CONTACT US form or email Georgia Peach directly at georgia@peachclinics.com.au for personalised answers to your questions on topics including excess hair, permanent hair removal with galvanic electrolysis, aftercare best practice and much more. When you look your best, you feel your best and you have the confidence to do your best. We are dedicated to helping you achieve your dream of bare, hair-free skin by offering the most effective method of permanent hair removal available – galvanic electrolysis. Our treatment works on every hair colour and every skin colour. PEACH CLINICS’ multi-probe galvanic electrolysis for hair removal is kind to your skin and the safest, most effective hair removal method available. Galvanic electrolysis has a proven track record of consistent and permanent results and has been in use since 1875. It is the only hair removal method recognised as permanent by the US Food and Drug Administration. No other method can make that claim. Are we bare yet? Your search for beautiful hair-free skin is over when you arrive at PEACH CLINICS. We will help you achieve the results you’ve been longing for. Experience the satisfaction and confidence of knowing your problem hair will be gone forever. No more waxing, no more shaving, no more tweezing – ever again! At PEACH CLINICS, prices for permanent hair removal start at $139 for a one-hour treatment. Shorter treatments and multi-hour treatments are also available. Click here to see why you should choose PEACH CLINICS for your permanent hair removal solution. PEACH CLINICS is a new and unique hair removal clinic: we remove hair permanently. Our city clinic is situated near Wynyard Railway Station and Barangaroo in Sydney’s CBD. PEACH CLINICS also operates from spa resorts in Marbella, Spain. 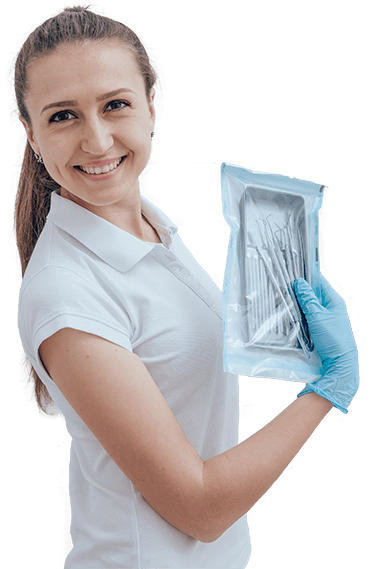 Everything we do at PEACH CLINICS is aimed at ensuring your safety, comfort and satisfaction. Here’s why you should look no further than PEACH CLINICS for permanent hair removal with galvanic electrolysis. PEACH CLINICS only provides multi-probe galvanic electrolysis for permanent hair removal. We do one thing and we do it well – because we know it works! Galvanic electrolysis is the only hair removal method that eliminates the stem cells at the bulge of the hair follicle as well as destroying the blood supply at the base of the hair root in a single treatment. The hair root can never regenerate. Our city clinic is situated above the newly refurbished Wynyard Train Station. With our lift going directly to the Station Concourse, you can be on your train or bus safely within minutes. With over 78 bus routes and 4 train lines passing nearby our building, no clinic is better located in Sydney than PEACH CLINICS. If you work in Barangaroo, our clinic is just a short stroll up Wynyard Walk. Travelling in for an appointment from the country, interstate or overseas? You can catch the train directly to our clinic from Sydney Airport. At PEACH CLINICS we follow the rules – we never bend, break or ignore them. Our therapists work within the law and will never attempt a procedure for which they are not trained. PEACH CLINICS will never treat you without first discussing the procedure with you, obtaining your relevant medical and health information and assessing if galvanic electrolysis is the right choice for you and your skin. 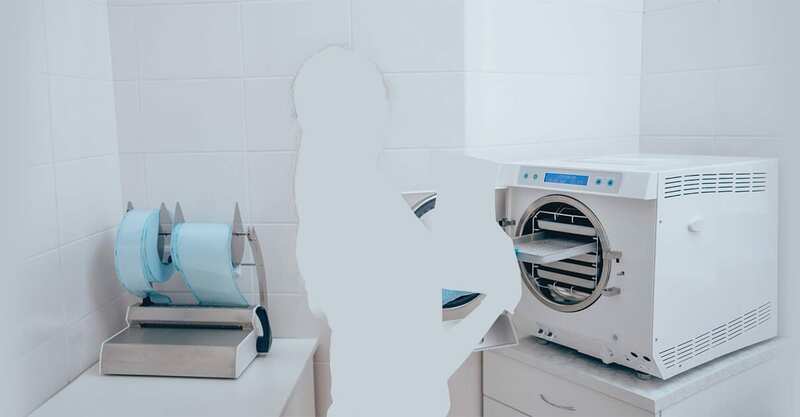 PEACH CLINICS has its own sterilisation room and sterilises all reusable items in bench-top sterilisers (autoclaves) and ultrasonic cleaners. All PEACH CLINICS treatment rooms are built to medical standards. We operate Australia’s first Opti-Vizion System HD – a video microscope similar to those used in microsurgery to magnify your skin up to 40 times allowing us to perform the most accurate treatment possible. We limit the use of alcohol-based products to minimise dehydration of your skin. Georgia’s super power is that she never sleeps. She’s always around to answer your questions: any hour of the day or night. So go ahead, ask Georgia a question! Their attitude; they answered all my questions. On both occasions when I called they responded with answers only, with no pressure to commit to an appointment! 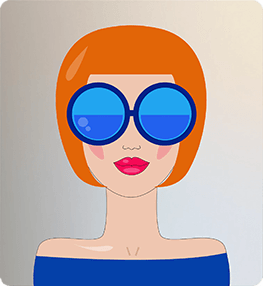 Their personnel; As Bronwyn, the senior consultant, said to me at one of our sessions...."we're successful because our clients recommend us to their friends not because of how many times they themselves visit us"